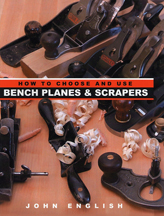 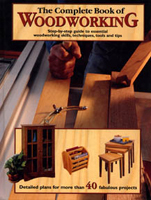 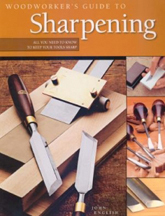 Check out our new Woodworking Jokes book! 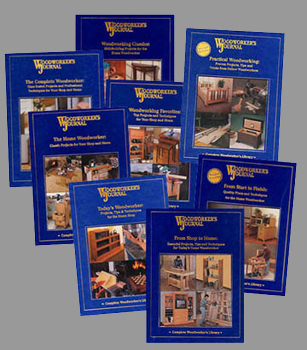 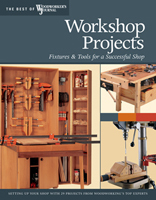 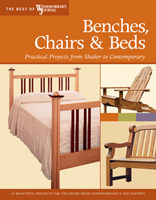 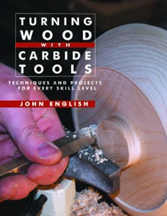 In addition to the books he has written, many of John's woodshop projects have appeared in dozens of books that also include the work of other designers, builders and authors. 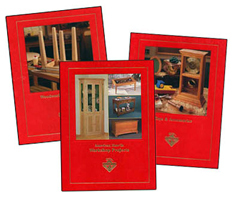 For example, in The Complete Book of Woodworking (Landauer, 2001), he provided the text and images for the section "Introduction To Wood". 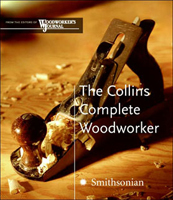 The Collins Complete Woodworker (top left) was published under the imprint of the Smithsonian Institution. 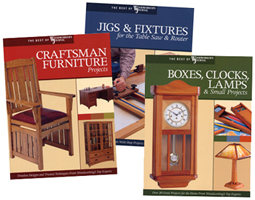 The red-covered series (top center) was by the editors of American How-To (that's John's corner cabinet on the front of the top book), and the series at top right (with his clock on the cover) was produced by Fox Chapel Publishing.